The possibilities with QuickStick – Removable & Reusable Adhesive Graphics are practically endless! It uses high-tech adhesive that doesn’t leave residue on the designated surface. QuickStick is great for point of purchase advertisements, counter advertisements, name tags, calendars, wall art and so much more! Some of the possible applications surfaces include counters, appliances, walls, cars and windows. 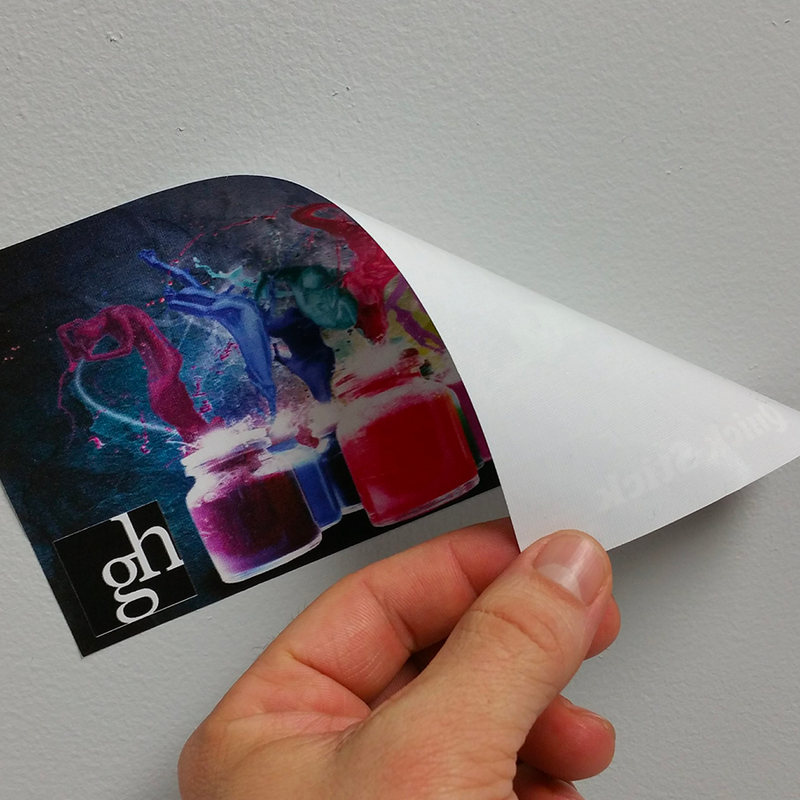 Here are some of the unique features of QuickStick, a removable and reusable adhesive graphics product. 1. QuickStick is a polyester fabric with a removable and re-stickable adhesive that is designed to be easily removed without leaving a sticky residue behind. It is primarily for indoor use. 2. 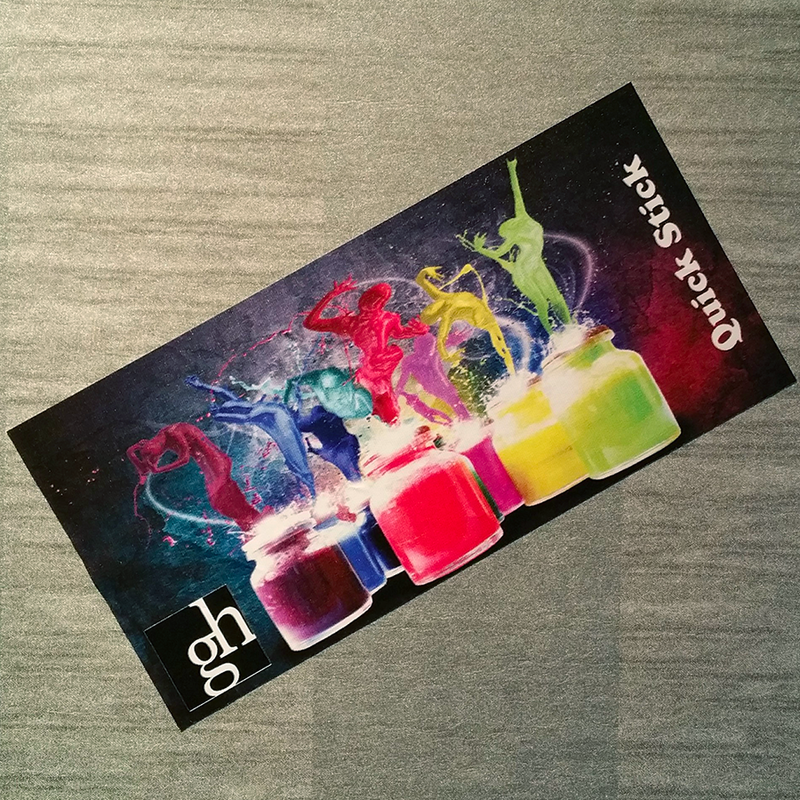 QuickStick has a slight fabric texture that creates a high-end canvas look to the graphic when applied to a surface. 3. 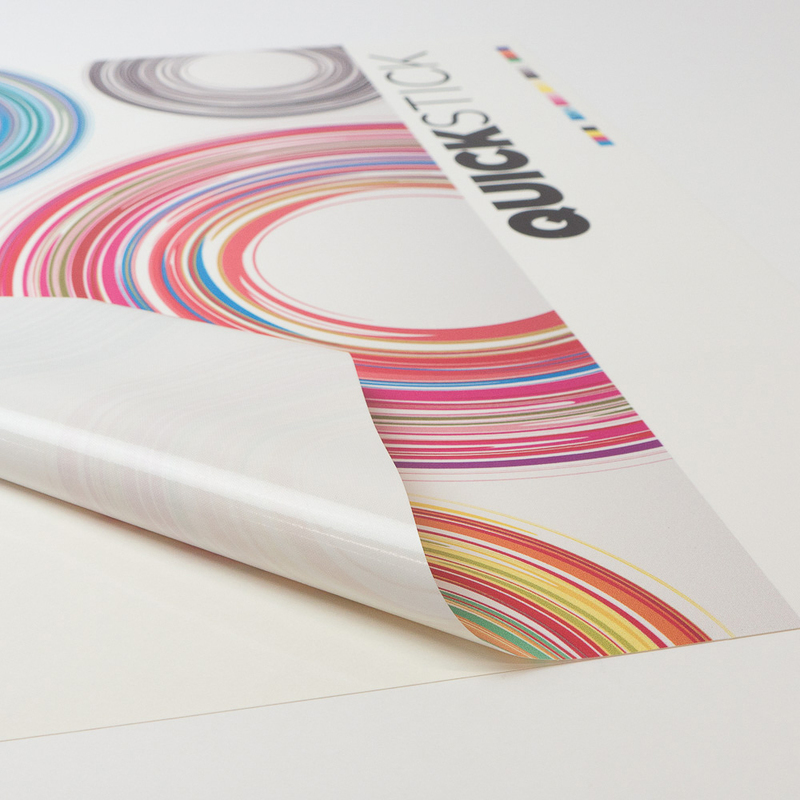 Unlike most adhesive graphics, QuickStick will not bond to itself. This means you can crumple up QuickStick, flatten it out and re-use it without damaging it. 4. 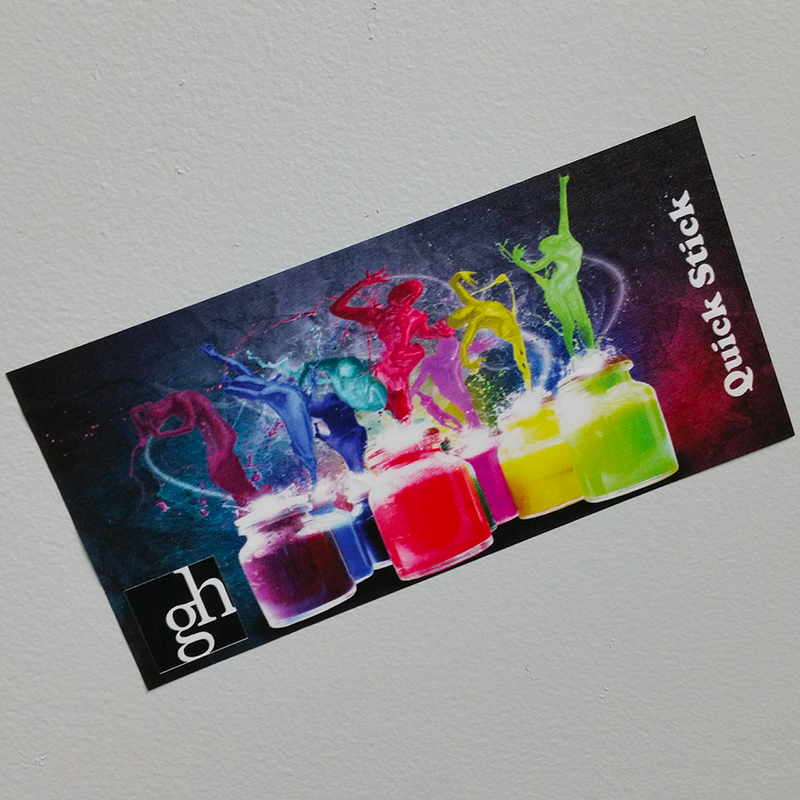 QuickStick graphics can be printed large enough to cover an entire wall or small enough for a stickable business card, and everywhere in-between. 5. QuickStick will adhere to most surfaces but for longevity we recommend a clean and smooth surface. QuickStick will adhere to many slightly textured surfaces, but it is not recommended for long-term use on textured surfaces. 6. Installation couldn’t be easier! Just peel and stick, and (if desired) move the graphic and stick again! ©2018 QuickStick, All rights reserved.